Stage Technic is a field where reliable Encoders do their work. 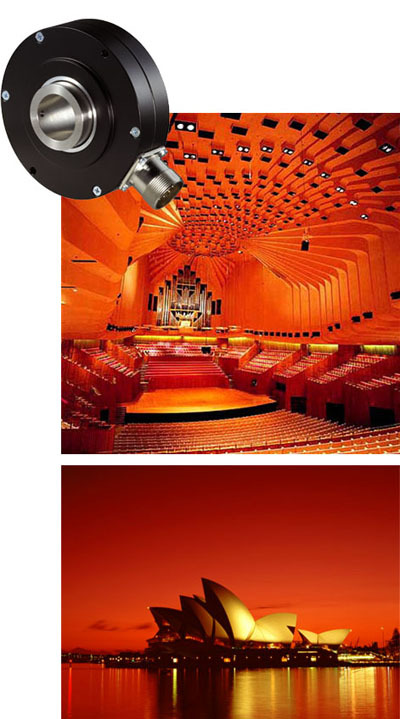 Since the last renovation at Sydney Opera House, GES-Encoders are used for automated movable devices for the stages. Electric winches are placed at various locations on the grid to wind the stage props and scenery up and down in coordination with the segments in the performance. An encoder is fitted to the winches to control the rise and fall positions of all the stage props.